Thanks everyone for the nice comments about our porch addition! We can see that as the summer progresses, the shade will really be appreciated. 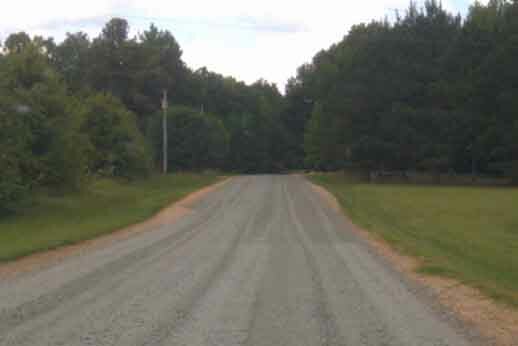 One other improvement that will also be appreciated by the many who come to our studio, is the re-graveling of the Old Mill Farm road! Now this may not seem like such a big deal but it was long overdue and a few times during the winter, our clients must have felt like they were navigating the edge of the Grand Canyon. It is interesting to note that at other times, our "that makes me happy" top listings are quite different. Right now, 60 tons of gravel is right up there at the top. The Internet has made staying in contact so easy nowadays and yet I still find that I have "lost" a few of my clients from the pre-Internet days. For whatever reasons, the street addresses are no longer valid and post cards come back. So the ability to do searches online has led many to re-contact me with requests for new portraits of children who are now graduatying from high school or college. What an adjustment to see that 5 year old as an 18 year old! But not everyone's children have two legs! 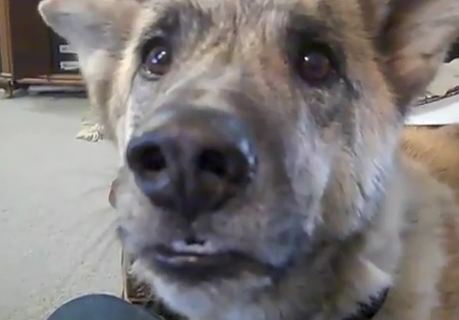 One of our long time Pennsylvania clients keeps adding to her menagerie and two new additions are rescued dogs. 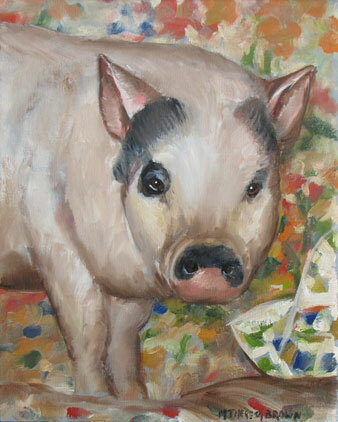 The pig portrait is a new one for me (although Steve paints pigs all the time) and was a lot of fun. Our schedule can change but Check our schedule to see where we will be next. 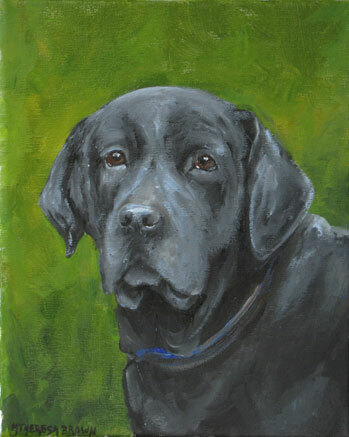 We're adding recent completed portraits all the time so pop in to our site to see what it new. Our May 7 outdoors painting class was a blast! Steve mixed mimosas for the adults and even if you thought you could not paint roses from life in oils, after awhile you sure felt like you could. Our next class is MAY 25 from 6:00-8:00 pm and it's BEACH ART and WINE! 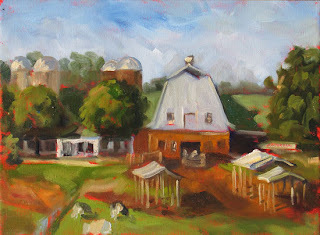 This one will be in Wake Forest at the Wake Forest Art & Frame Shop. So come celebrate Memorial Day and the start of summer, with your own painting of a lighthouse! BYOB, we supply everything else :-). Classes are being added and updated all the time so to see our schedule and find a class you would like, click here:: Classes & Schedule. To see the student Gallery, go to our Art Student Academy and sign up for the ASA newsletter to keep current with new classes! ART PARTIES! 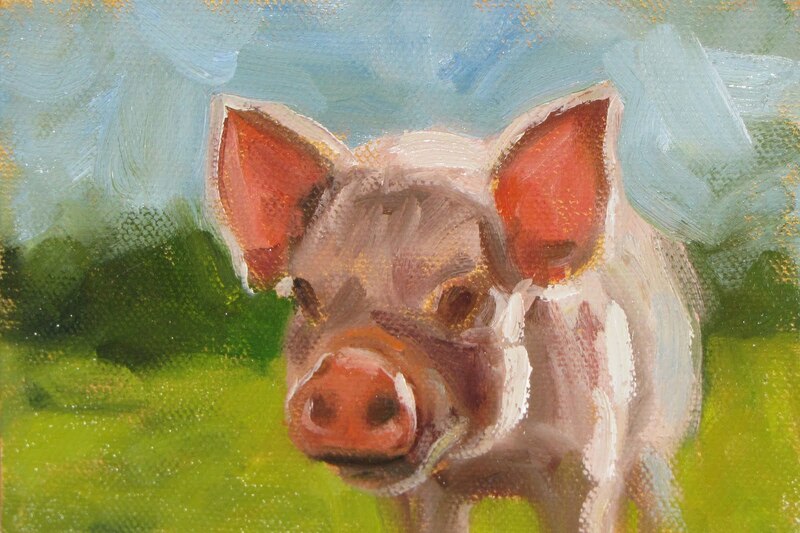 Have a group of at least 8 (art group, 4-H, corporate, etc.) and are interested in US coming to YOU? Just give us a call! Not everyone knows that Steve is a long time sign designer and is known as the Goldleaf Man! Steve wears a lot of hats and as the Goldleaf Man he has been traveling. 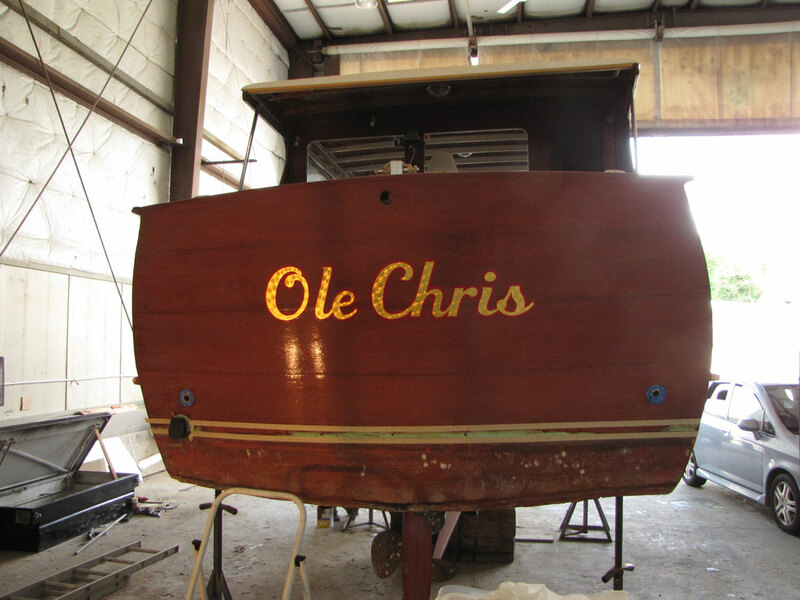 He just returned from the Chesapeake Bay area after lettering a boat in Urbanna, VA. So if you see "Boat Show" on our schedule, now you know why! 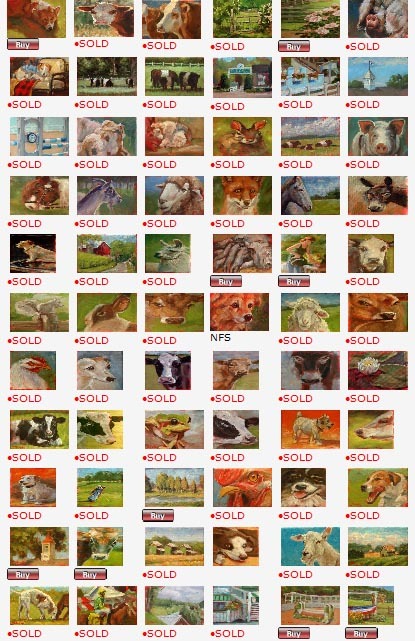 Steve has been trying to make it easier for his collectors to find the available paintings as well as see the ones that have been sold. 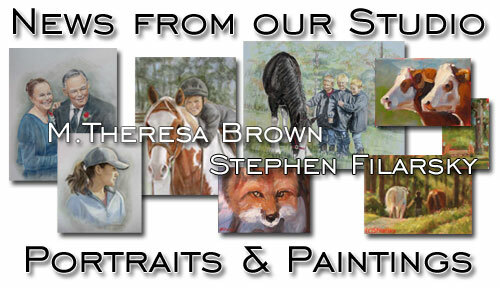 So be sure and check out his new gallery page. There is another page to go so let us know if this is better! Remember, if you want to suggest a particular topic or subject, just contact him or send the image to him! 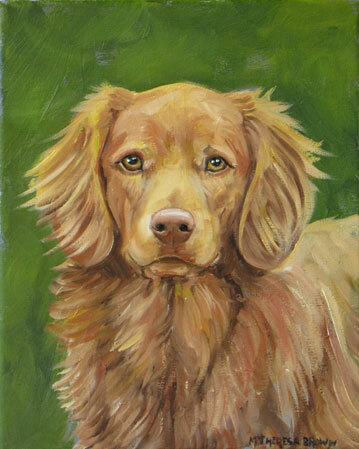 Steve has completed a number of paintings destined to become Graduation presents. The popular Rotunda at UVA, Dartmouth College and below the NCSU Collegel of Vet. Medicine, which is still available. "The wise tiger doesn't rely on his strength or speed, though he has these in abundance. The tiger relies on stealth, creeping low and quiet until he is ready for his plan to become known."